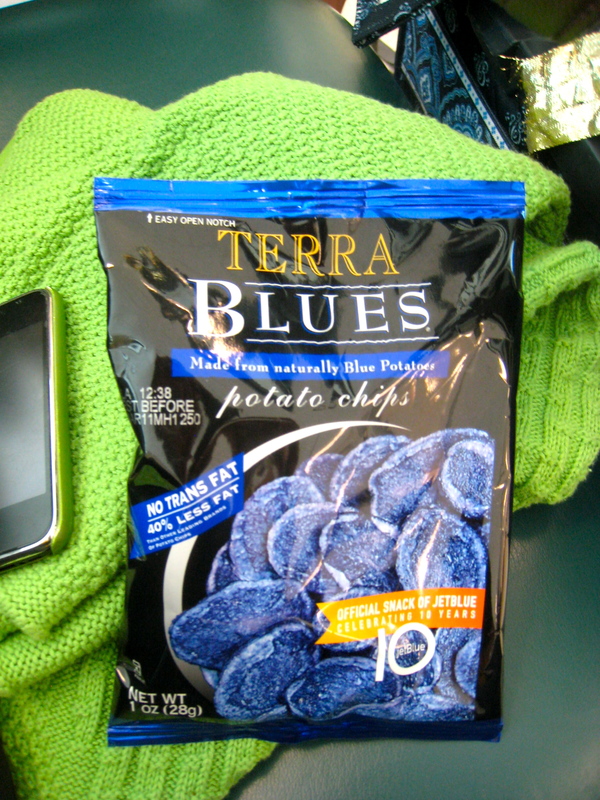 Terra chips, one of the many fun features of flying Jet Blue! We waited for my sister-in-law Betsy and her husband Phil (Uncle Phil of the “Housewives of. . .” fame on this blog) in the car rental building. 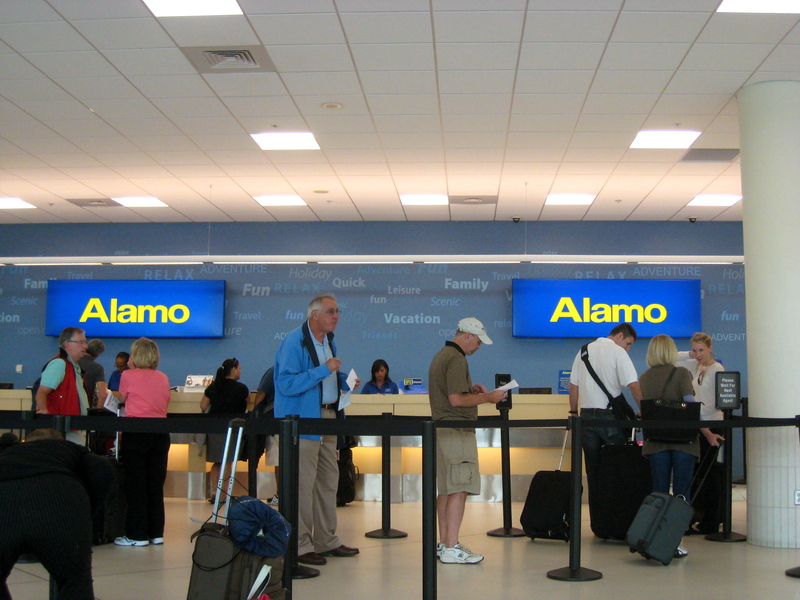 Well, actually, since we landed about 30 minutes ahead of Betsy and Phil, we got the car rental agreement taken care of. The good thing is that we were upgraded from an economy car to a compact car. The bad thing is that I seem to remember that Betsy travels with BIG suitcases. When I mentioned my thought to Mike his eyebrows shot up to his hairline and he excused himself to go out into the rental area and scope out the compact car with the largest trunk. He returned in record-quick time with a smile on his face; the rental agent said if no compact cars were parked outside that we could take a midsize car. Score! No compact cars were parked in the spaces. 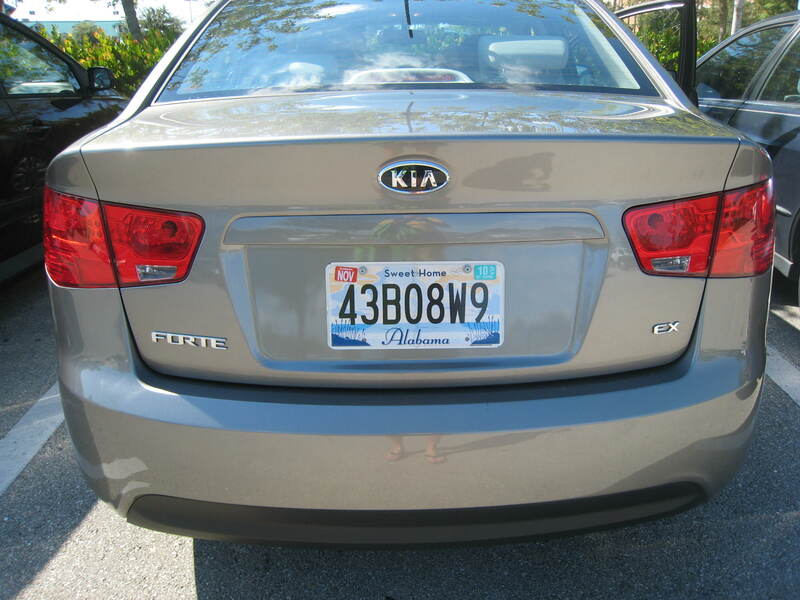 And he grabbed keys to a Kia Forte. Two free upgrades later we hung out and waited for the relatives to arrive. Waiting in line to get our car. 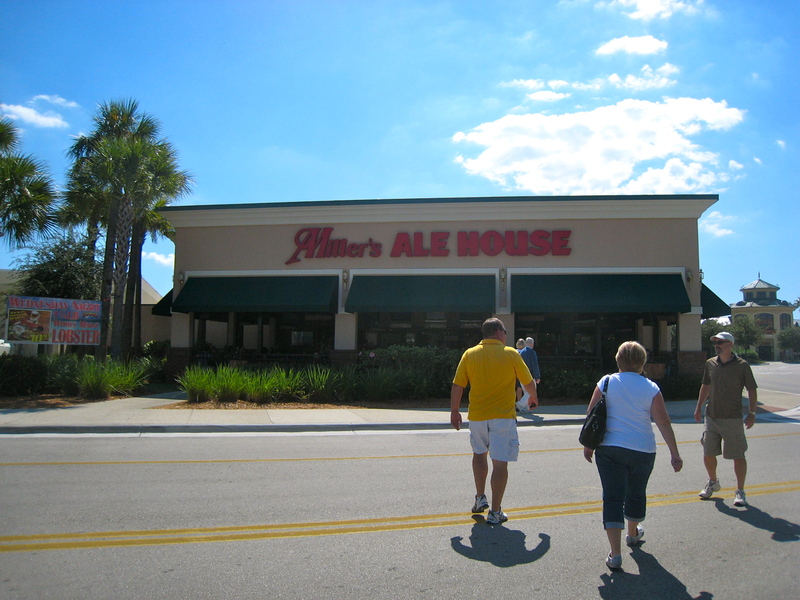 Mike's fav watering hole near the Ft Myers Airport. After we left the airport we headed to lunch at Mike’s new favorite near-the-airport watering hole: Miller’s Ale House We ate there last October when we visited and Mike has mentioned it a fair amount since then. He wanted to introduce Betsy and Phil to the chicken zingers and cheap, good beer. P.S. The food was as great as Mike remembered and Betsy and Phil enjoyed the chicken zingers and pulled pork sandwiches. I had the zinger salad. P.S. Betsy’s suitcase was pretty huge, but Phil managed to stuff all the luggage into the trunk. Atta boy, Phil! What a trunk! And Phil packs trunks really well. P.P.S. When we reached Coconut Plantation our condo wasn’t ready so we had a drink at the poolside bar. Take a look at the video of our bartender David flaring on “My World and Welcome to It.” Gotta say, I’ve watched flaring on TV and David is pretty good. Take a look!